Located about forty miles northeast of Gatlinburg, right on the edge of the Great Smoky Mountains National Park, Cosby is a small mountain community that was one of the first settlements in East Tennessee. Before the early settlers established forts and settlements, the Cherokee Indians were the first native inhabitants of this area. In the late 1700s pioneers began to arrive in Tennessee crossing the Appalachian Mountains from North Carolina and settling into what is now the Cosby area. Locals divide Cosby into three different parts: Upper Cosby (which goes to TN/NC state line and includes all Cocke County Portions of the Great Smoky Mountains National Park) just “Cosby” which covers the intersection of Highway 321 and Wilton Springs Road, and Lower Cosby which includes the areas of Bogard, Middle Creek, and Pleasant Valley. Lower Cosby was one of the first areas settled in East Tennessee. This area with its tall mountain peaks, clear streams, rocks, and rugged terrain, attracted many settlers from Ireland, Scotland, and Wales. Lower Cosby bore a strikingly similarities to the British Isles and thus was a natural choice for settlements for immigrants from these homelands. There are two stories about how Cosby received its name, though no one knows for sure the official namesake. Some people say that Cosby is named after a legendary trapper and local distiller, Jonathan Cosby. While others speculate that Cosby’s, name arose from someone settled around Cosby Creek in the late 1700s, while others point to the well-known doctor James Cosby friend of General John Sevier as the namesake for the town. The early part of the 20th century saw great change for the Cosby area. With the creation of the Great Smoky Mountains National Park many local citizens were forced to leave historic homes and cabins built generations back. At first there were bitter feelings and resentment over having to leave. However, the money these people received for their land helped them to create and start many new businesses that still thrive today. Today Cosby is growing as a community of locals, musicians, and artists a like; eager to enjoy the magnificent landscape as well as the slow-pace of life. Retirees from all over the country are choosing to make it home too. They are coming to the area for its rural setting yet convenience to bigger metro areas like Knoxville, Atlanta, and Asheville. In the late 1800s and early 1900s Cosby rose to fame as the “Moonshine Capital of the World.” Farmers in the area grew corn to help augment scarce crop profits and much of this corn began to the be used to make corn liquor, otherwise known as moonshine. With many secluded mountain coves and hollers, the geography and landscape of the Cosby area was perfect for concealing moonshine stills. However, when the government decided to tax moonshine and laws were created to make it illegal for private citizens to produce it, a bitter feud between ensued between local law enforcement and makers of moonshine. Moonshiners worked hard to conceal their stills and evade the eye of local revenues and law enforcement. Even though it was illegal, it didn’t stop the locals from continuing to make some of the finest whiskey around. Moonshining remained a popular trade. Cosby exported their fine corn liquor to markets in both Asheville and Knoxville and beyond. Numerous stories of car chases where Nascar-like mountain cars transported “White Lightening” around curvy mountain roads began the legacy of this outlaw life. One of the most legendary residents of Cocke County and nearby Cosby is the infamous “Popcorn Sutton.” Marvin “Popcorn” Sutton was a third-generation moonshiner. This skinny man with a bushy beard, known for wearing overalls and his signature hat, as well as smug and knowing expression was well-known during his life for his moonshine making and trade. Legend has it his name hails from an interesting encounter with a barroom popcorn machine. Born in North Carolina, Popcorn Sutton later settled in Cocke County and spent much of his life making and running some of the best white whiskey in the Great Smoky Mountains are. He first ran into problems with the law in the early 1970s, but continued to make and run shine for many years after. Popcorn was the author of the book, “Me and My Likker,” an autobiography and textbook on how to make moonshine. He even helped make many “How-To” moonshine documentaries. Popcorn had a large underground following during his lifetime, that only increased as his book and documentaries gained in popularity. Unfortunately, these made it easier for the law to pin him down. In 2008, the law caught up with Popcorn who was caught trying to sell nearly 1,000 gallons of moonshine to an undercover agent. He was charged with an 18th month prison sentence in federal prison. Four days before Popcorn was sentenced to show up and serve his sentence in prison, he chose to end his life with carbon monoxide poisoning. In 2009 Tennessee lawmaker passed a bill that expanded the areas in the state that could produce and distill spirits. The law allowed distilleries to be permitted in any county in the state already allowing liquor stores and liquor by the drink. Since this time new distilleries are popping up all over Tennessee. Following this new law and in the footsteps of the many Appalachian moonshiners before them, modern distillers are carrying on the legacy that originally put Cocke County on the map as the moonshine capital of the world. Located just up the road from Cosby, the Cocke County Seat, Newport has two modern moonshine distilleries are a must see. Any visitor to Cosby will make their trip complete by visiting these distilleries and learning about the rich history, culture and legacy of these moonshine that runs deep in the roots of the area, as well as getting to sample some smooth and well-crafted corn liquor. Grosser and Williams Junior constructed and built a nearly 50,000 square foot distillery in Newport, Tennessee, just a few miles from Popcorn’s home where he made his original fine “likker” in the coves and hollers near the Great Smoky Mountains. Popcorn Sutton Distillery uses three mammoth copper pot stills built in Popcorn’s own historical design to create their spirits in. Just like Popcorn distillers work diligently and keep a watchful eye to make sure their product is top of the line with the same clarity, purity and smooth flavor that Popcorn was famous for. In addition to Popcorn Sutton’s Original Small Batch Recipe, Popcorn Sutton Distilling has recently released its first brown spirit called “Popcorn Spirit Barrel Aged” in honor of Popcorn himself. Before his death Popcorn was known for barrel finished some of his own small batch brown spirits and sharing these only with close family and friends. This new product is barrel aged for 3 years in deeply charred American oak barrels and stored in the cool hills of Tennessee, just as Popcorn would have done. Differing from the original Popcorn Sutton’s Original Small Batch Recipe, this spirit is known for its bold, spicy flavors, with hints cinnamon and smoked caramel that still finishes smooth. Popcorn Sutton’s Barrel Aged spirit won a gold medal at the highly prestigious 2015 Global American Whiskey Masters competition. Cocke County Moonshine Distillery guarantee you will experience the best moonshine you’ve ever tasted at their distillery. Owner and Master Distiller, Arvis Keys understands the history and legacy of this liquid gold, especially to these parts of Tennessee. He grew up in the pinnacle of the moonshine era when many Cocke County residents relied on moonshine to put food on the table. Staying true to the local tradition Arvis uses an authentic recipe to produce every batch of their moonshine. Using three 500-gallon copper keeps his process true to its roots. The Cocke County Moonshine Distillery has a warm and friendly staff that are eager to introduce, explain and describe the process by which they make their spirits. Customers will remember the friendly service and dedication to the process of making this delicious shine. Visitors to the distillery have the incredible opportunity to converse with staff and enjoy free tastings of the many varieties of moonshine that Cocke County Moonshine Distillery creates. Currently Cocke County Moonshine Distillery offers a large variety of spirits to try. These include: Tennessee Charred Barrel Proof Liquor, Tennessee Charred Honey Liquor Moonshine, Strawberry Shine, Honeymoon Shine, Apple Pie Shine, Blackberry Shine, Peach Shine, and Cherry Shine. Guests can also enjoy shopping in the distillery’s retail store which features hats, t-shirts, souvenir bottles, and more. Held every May at the Cosby Campground in the Great Smoky Mountains National Park, “Cosby in the Park” is annual festival that celebrates the rich heritage, culture, and beautiful ambiance of the Smoky Mountain Spring Time. The festival includes cultural demonstrations, artisans’ crafts, traditional music entertainment, storytelling, children’s games, guided hikes and much more. The distinct Scotch-Irish heritage of the area is also usually highlighted through song and dance at this event. Visitors to the Great Smoky Mountain seeking a refuge from the busy parts and looking to get off the beaten path can enjoy the more secluded Cosby Campground and Picnic Area. Sitting at 2, 460 feet this campground offers cool shade and spectacular views. Further from the busier parts of the park and with over 157 campsites located along two loops, Cosby Campground is rarely full and offers a peaceful and serene solace in nature. Twenty-five sites are available for reservation. Great Smoky Mountain National Park Cosby Picnic Area located beside the campground is a favorite spot for family reunions, parties, and events. The open-air picnic pavilion located beside the campgrounds can accommodate up to fifty-five people and includes multiple grills and picnic tables. Flush toilets are available onsite. This is also a great jumping off point for the popular and short hike. Apple growing has long been a livelihood and food staple of locals of the Appalachian Mountains. The Cosby climate and weather is perfect for growing apples. Two Cosby Orchards, Carver Orchard and Baxter’s Orchard offer a variety of apple picking, eating, and buying options as well as other homemade goods. Sitting on seventy-five acres, Carver’s Orchard is one of Cosby’s prominent orchards. In fact, the Carver Family has been growing apples on their farm since the 1940s, and today this orchard features over 40,000 trees with 126 varieties of apples. The real draw to this orchard is their onsite restaurant that offers a wide variety of apple products and dishes. Don’t miss their delicious fried apple pies, apple butter, homemade jams, jellies and more. Their lunch and dinner menu demonstrates the best of southern cooking with plentiful cured meats, omelets, biscuits, homemade soups sandwiches, and delicious selection side dishes. Open early September through late November Baxter’s Orchard has been family owned and operated for over fifty years. They feature a variety of apples from the Red Delicious staple to lesser known varieties like Stayman Winesap to Rome Beauty. This orchard also offers fresh pressed cider from it’s on apples. In addition to their apple products, Baxter’s sells delicious homemade jams and condiments. Their Scuppernong and Fig Jim are favorites as well as their homemade Chow-Chow. A quaint and warm space, Our Place is a bookstore, gift shop, and gourmet coffee spot all rolled into one. With the slogan, “A Book Lover’s Paradise,” this store promises to quench the thirst of any bookworm. Our Place has a unique collection of new, used, and rare books. The friendly staff is happy to converse with tourists from all parts about books, coffee, area favorites and much more. Visitors can savor delicious gourmet coffee on their visit as well as browse through a variety of Smoky Mountain Souvenirs and artisan items. Smokies.” These tours include incredible off-road adventure tours in UTV (utility task vehicles) with a side-by-side seating arrangement. The primary Smoky Mountain Adventure Tour takes riders off road and through the dense forests and nature surrounding the Great Smoky Mountains National park. This tour lasts from two to two and half hours. Safety is a priority for Smoky Mountain Adventure Tours and all riders are required to wear a helmet, goggles, masks and seatbelt. All UTVs include safety nets and trained tour guides to guide drivers and ensure safety. This local shop is a destination for any visitor to Cosby. Holloway’s Country Home and Quilts shop is located at the home of Maria and Johan Holloway express. Featuring a variety of handmade products, owner Maira Holloway crafts her quilts, custom made socks, table runners and more after the. She follows centuries of rural tradition in color, cut, pattern, fabric. All this and much more goes into the making of our quilts. Maria Holloway has been crafting for almost seventy years and is committed to carrying the rich tradition of quilting in this area. Many of my quilts incorporate the beauty of Cades Cove and the wildlife of the area. 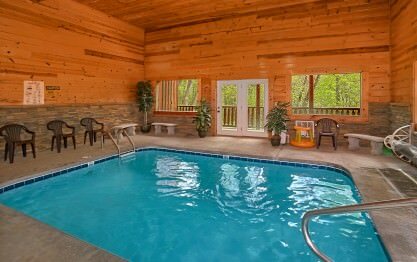 See all cabins for rent in Cosby, TN & surrounding areas.